A Grammy-nominated, in-demand, freelance session vocalist and vocal arranger with hundreds of major film, television, commercial, and record credits to his name, Randy Crenshaw has been described as "the Swiss Army knife of L.A. session singers." Randy earned a Bachelor of Music in trumpet performance from Willamette University's College of Music, and a Diploma in Commercial Arranging from Berklee College of Music. 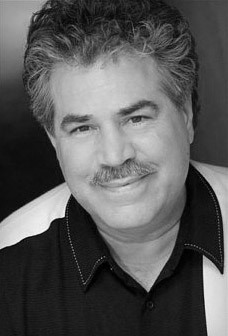 in addition to his extensive vocal session work, Randy's professional background includes orchestral and big-band trumpet playing, performances at the Oregon Shakespearean Festival on a variety of Renaissance and pre-Baroque wind instruments, singing country music, arranging for and singing with such groups over the years as Boston-based doo-wop quintet No Strings Attached, the Berklee Vocal Jazz Choir, a cappella vocal jazz quintet Terra Nova, a cappella world beat/R&B sextet Wahoo Do-Re, contemporary Christian vocal group Haven (from the radio broadcast "Haven Today"), and acclaimed a cappella vocal jazz quartet Just 4 Kicks (with four CDs released to date on their own Kickboyz Records label). He lives and works in the greater Los Angeles area with his wife and three daughters.